Do you ever have those days when you just can’t seem to focus at work? Every task takes twice as long and you find your mind wandering endlessly? A treadmill desk can help you stay focused and keep your body moving throughout the day. Food also plays a very important role. As it turns out, certain breakfast foods can made a big difference in how your brain functions throughout the day. This proper nutrition is even more important when you consider that a 3.6% decline in mental reasoning can occur in adults starting as young as 45 of age. Don’t worry, there is an easy solution! Here are our top ten foods to keep you focused at work and help you reach peak performance. Coffee is one of the first things many people reach for in the mornings to provide a jolt of energy and focus. Caffeine is a well-known stimulate that can help the brain focus on a task at hand, but too much can cause some nasty side effects like insomnia, upset stomach, accelerated heart rate, and muscle tremors. Don’t forget that a lot of the café drinks you might purchase are loaded with calories. Did you know that the Starbucks Pumpkin Spice Latte has a whopping 52 grams of carbohydrates? Yikes! Dieting 101 tells us that we need to find a balance between the number of calories we take in compared to how much we burn from exercise. The right breakfast foods can help you get the most out of your daily workout. 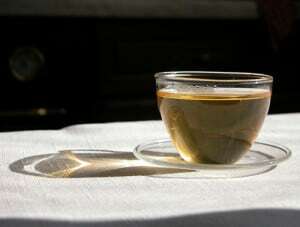 Green tea can be a wonderful alternative to coffee if you’re looking for a hot drink to start your day. While it does contain some caffeine, it also contains a substance called L-theanine, which has been shown to improve memory and attention. An article in the Journal of Medicinal Food showed that L-theanine and green tea extract increased brain theta waves, which is an indicator of cognitive alertness in test subjects. With a little bit of natural sweetener, this delicious drink can wake up your brain and send you on your way to a productive day. The egg has long been vilified for its cholesterol content, but that doesn’t mean it should be excluded from a healthy breakfast. Whole eggs are a wonderful source of choline, which helps with brain and memory development. Surprisingly, only 1 out of every 10 Americans is eating enough choline in their diet. 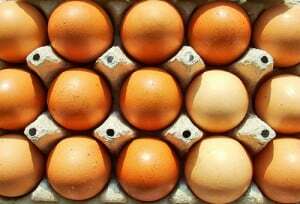 Aside from beef or chicken liver, eggs have one of the highest reported levels of choline. A study from the Journal of the American College of Nutrition states, “We suggest that choline-rich foods are an important component of the diet and that especially during pregnancy it would be prudent to include them as part of a healthy diet.” Whether they are scrambled, sunny side up, or part of an omelet, eggs are a delicious and smart way to start off your day. Did you know that blueberries are a fantastic source of antioxidants and a known memory booster? Besides that, they are absolutely delicious! A 2010 study in the Journal of Agriculture and Food Chemistry reports that those who drink blueberry juice every day for two months showed an improved performance on learning and memory tests. 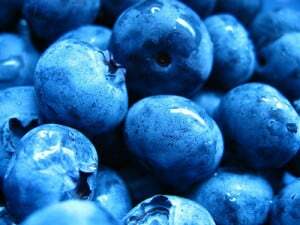 Try adding some blueberries to a smoothie, on top of your oatmeal, or mix them into your pancake batter. If you haven’t jumped on the green smoothie bandwagon yet, you really need to try one! Green smoothies are becoming more and more popular with a wide variety of delicious recipes available online. 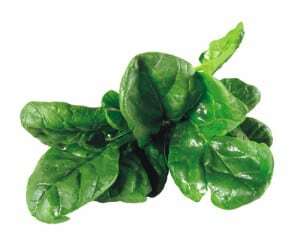 My favorite ingredient for green smoothies is spinach. Green leafy vegetables like spinach contain lutein, folate, and beta-carotene, which are all linked to dementia prevention. A 2006 article from the journal Neurology explains that a greater consumption of these leaves is associated with a slower rate of cognitive decline over a six-year period. Test subjects who ate two vegetable servings a day showed the equivalent cognitive ability of those five years younger. Don’t be frightened away by greens in your smoothie because they are both delicious and brain healthy! I’ve said it before and I’ll say it again. Water is incredibly important for your day-to-day productivity. Every morning, make sure you drink a tall glass or water to get your mind and body going. 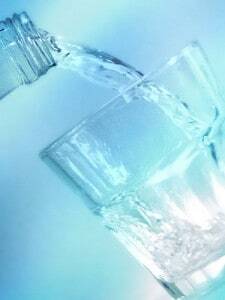 Many people operate in an almost constant state of dehydration, which can have a profound effect on your energy levels. If you’re looking for a little added flavor, try squeezing in some lemon juice. The scent of lemon is widely believed to improve performance on tasks that require concentration. Plus, it has a calming effect when you are feeling anxious or run down. Okay, salmon for breakfast? 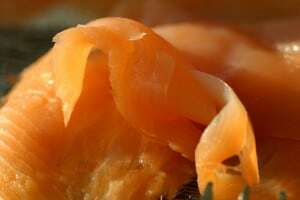 I get it, this isn’t a traditional breakfast food, but the omega-3 content of this tasty fish is too important to overlook. These fatty acids help rebuild brain cells, slow cognitive decline, and strengthen synapses in the brain that are important for memory. Plus, they contain amino acids that are essential for keeping your brain focused and sharp. Neurology expert Fernando Gómez-Pinilla writes, “Omega-3 polyunsaturated fatty acids are normal constituents of cell membranes and are essential for normal brain function.” Here is a delicious salmon omelet recipe to add to your breakfast repertoire. Did you know that red beets are another rising superstar food that can help brain function? Beets contain a high concentration of antioxidants and nitrates, which improve blood flow to the brain. Dilated blood vessels allow for more oxygen flow and an overall lower blood pressure. If you’re looking for a way to incorporate these tasty roots into your breakfast, try out this breakfast smoothie recipe. Bananas are a delicious addition to any meal, but they can be especially helpful at breakfast time to keep you focused throughout your day. 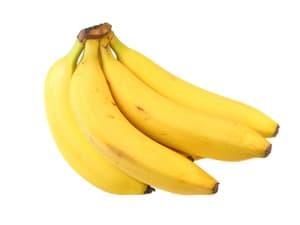 In fact, a school in Cambridgeshire, UK is actually feeding their students bananas before important exams to improve test scores. Talk about a smart idea! Bananas are great source of potassium, which is important for your brain, nerves, and heart. Try adding a banana to a green smoothie or mixing slices into your cereal. A study in the journal Appetite showed that a breakfast of cereal rich in complex carbohydrates can help maintain mental performance over the morning. 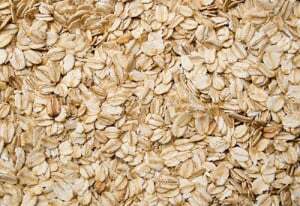 Oatmeal is an excellent choice for cereal because it is often lower in sugar and calories than many of the other typical breakfast pastries or sugary cereals. Try jazzing up your oatmeal with the addition of some antioxidant rich blueberries to add some real brain boosting power. Oatmeal is just one example of a great breakfast that will help you boost your treadmill workout later in the day! I saved the best for last! Dark chocolate can be a delicious and sweet addition to almost any breakfast recipe. It is also beneficial for your mental focus and brain. 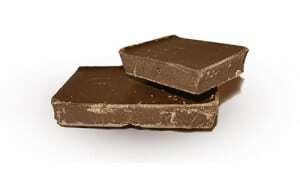 Dark chocolate raises endorphin and serotonin levels, which is associated with greater concentration levels. 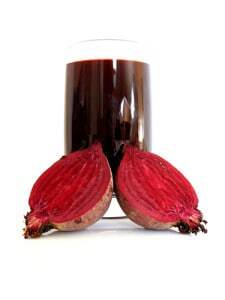 It also contains antioxidants, vitamins, and minerals such as copper, potassium, and magnesium. Best of all, dark chocolate is lower in fat than milk or white chocolate so you don’t need to feel too guilty. A 2013 study showed that subjects who drank two cups of cocoa a day for a month had improved blood flow to the brain and performed better on memory tests. I like to add dark chocolate to my protein pancakes or healthy muffin recipe some mornings when I need something a little sweeter to start my day. There you have it, 10 delicious alternatives to morning coffee. These are foods to keep you focused at work so you can get through your day with maximum productivity. Enjoy trying these new foods and please feel free to share your own recipes and morning favorites in the comments section below!